What do I need for retwisting locs at home? After the beautiful labor of love in starting locs, generally speaking, every 4 weeks it’ll be time to retwist your locs. 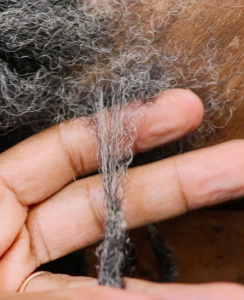 If you’re retwisting your locs at home, there are 3 very important items that you will need to be successful. And by successful, I mean ensuring your retwist lasts longer than a week or two. Aside from making sure that your locs are thoroughly cleansed, conditioned, and moisturized before retwisting your locs you’ll need to grab your essentials. 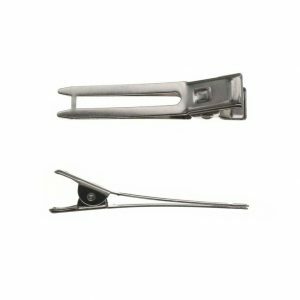 Of course, there are many types of clips that you can use to retwist your locs but Flat Double Prong Clips yield the best results. 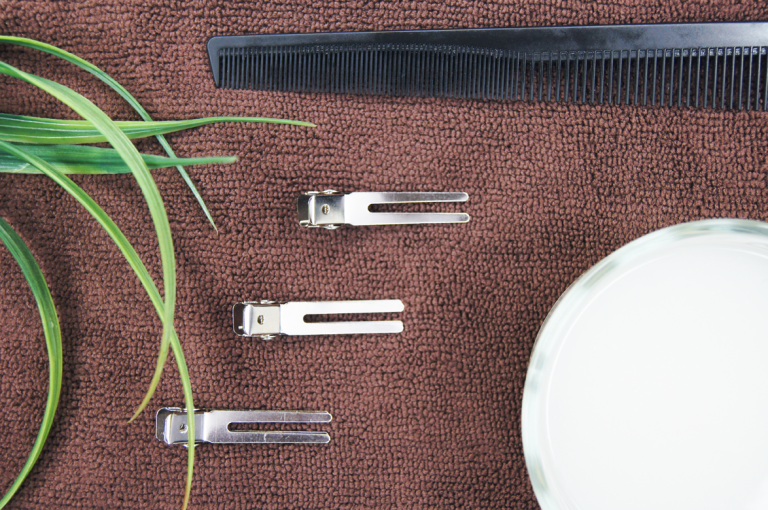 The reason double prong clips work so effectively is because they secure the locs in place, whereas wider or more open clips tend to be too loose and allow the retwist to unravel while drying. There are many different brands that claim to have the best locking gel for locs. However, many of the locking gels from the beauty supply store contain products that you should avoid on locs. 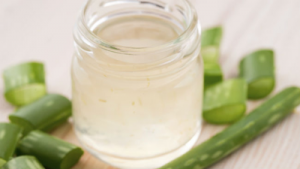 A better (and cheaper) option would be to make your own natural locking gel. By making your own gel for your locs, you avoid build-up in your locs, flaking, and the unnecessary addition of many ingredients. 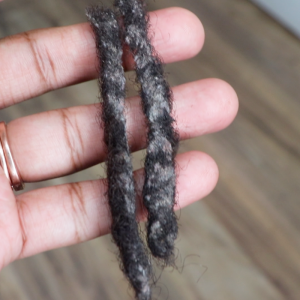 In order to stop your retwist from unraveling, last longer, and avoid the mildew smell in your locs, you must completely dry your locs. 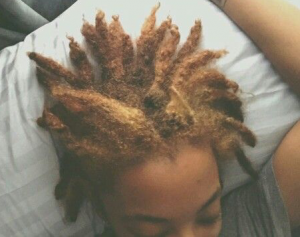 To completely dry your locs, it is recommended that you sit under a concentrated heat source. Air drying is not the best way to dry your locs because there is no guarantee that they’ll be fully dry. I know we all hate sitting under the dryer, but a soft bonnet dryer makes the process a lot easier. 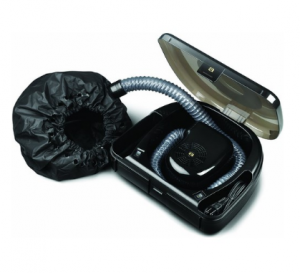 With the soft bonnet hair dryer, you can still hear while under the dryer and since all of your locs are fully enclosed in the bonnet, they’ll dry evenly and in significantly less drying time. Having these essentials— double prong clips, natural locking gel, and a bonnet dryer at home for retwisting your locs will make your experience so much better and save you a lot of time. Of course, you’ll also need to know how to palm-roll locs because proper technique will definitely help your hair to lock faster. 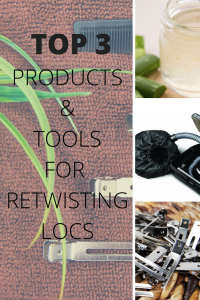 If you need help with palm-rolling your locs, check out the “How to Retwist Your Locs At Home” workshop. What are your retwisting must-haves? !